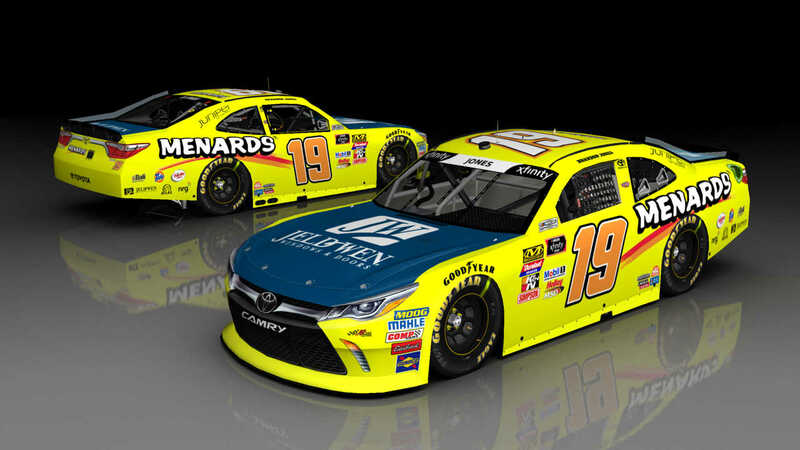 Brandon Jones' #19 Jeld Wen/Menards Toyota he will run in 2018 in the Xfinity Series. Updated for more accuracy to the real car. Credits: Template/Mod from SRD, Logos from Google Images, Number from BER, Render from The Mod Squad. Good job! What is the font that you used for Jones' name on the front windshield?